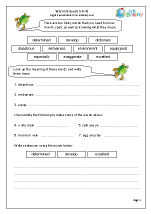 We have now published our first sets of worksheets on the new Year 5 and 6 word lists. This list is a statutory part of the new curriculum: children have to be taught these spellings and their meanings and will no doubt be tested on them at the end of Year 6. There has been some controversy over the list of 100 words but it is important that children become very familiar with them and know how to spell them. We have some great pages on the first three sets of ten words, including anagrams, mis-spellings, crosswords, word searches, sentence writing and missing words in sentences. 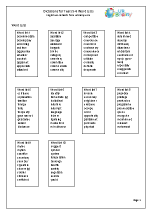 It is well known that children need to come across words many times before they become a part of the vocabulary they use; hence we have provided at least four pages of activities on each set of ten words, as well as Look, Say, Cover, Write, Check sheets. 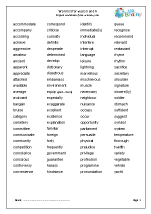 We have also provided a full list of all 100 words.